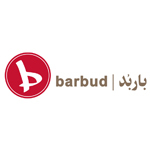 The leading music production house in Afghanistan, Barbud has helped launch the careers of many artists. It also creates a range of commercial services including jingles, music for television and radio commercials. It works closely with Kaboora on a range of productions.